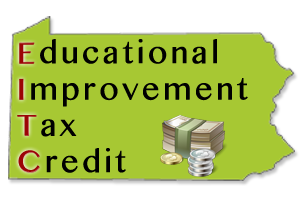 The PA Educational Improvement Tax Credit Program awards tax credits to business firms that make contributions to Scholarship Organizations and/or Educational Improvement Organizations and/or Pre-Kindergarten Scholarship Organizations. The Knoch Knights Legacies Foundation has been listed as an Educational Improvement Organization since 2014 and has been fortunate enough to receive $337,722 in EITC funds during that time. The program demands that the Knoch Knights Legacies Foundation expend 80% of those funds on Robotics, AP programs, Ag Club, Music Technology, Project Lead the Way, or Hands-On STEAM. We'd like to thank our generous 2018 EITC supporters: Brayman Construction, First National Bank, Hefren-Tillotson, and NexTier Bank and our brand new 2019 EITC supporters MSA Safety, Inc.